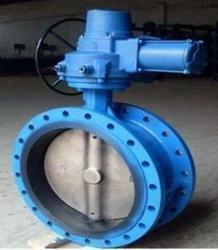 Manufacturer of a wide range of products which include electric actuator knife gate valve, high performance butterfly valve, electric actuator butterfly valve and electric actuator ball valve. Working medium Syrup,paper pulp,sewage,coal slurry,dust,slag-water mix..,etc. 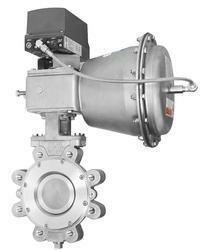 The valves provide accurate control of high capacity, moderate pressure drop services. The double offset design provides an approximate equal percentage flow characteristic and facilitates tight class VI shut-off, resilient-seated construction or class IV with metal seats. Valve Size 1/2" to 48"